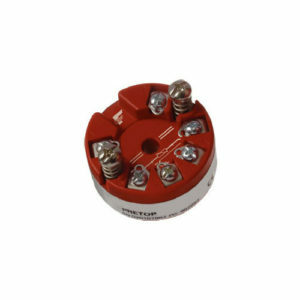 The T5 terminal head is a highly versatile, gasket-sealed head that meets NEMA 4 standards with termination styles T5AL (aluminum) and T5CI (cast iron). Termination style T5SS (stainless steel) meets NEMA 4X standards and provides an added degree of corrosion resistance. T5 heads feature 6 terminal posts. Covers are tethered to the body with a ball-chain. Temperature rating with gasket is 300°F (150°C). The T8 terminal head is Conax Technologies’s standard weatherproof, gasket-sealed, screw cover head, constructed of cast iron with black epoxy coating (E-COAT) for corrosion resistance. It accepts up to 8 leads. Covers are tethered to the body with a ball-chain. Explosion-proof models are available. Temperature is rated at 700°F (370°C). The T11 termination provides a screw cover with chain leash and a 6-post terminal block. The T11 is available in cast aluminum with a high gloss silver-painted finish designed to resist weak acids, organic solvents, alkalies, sunlight and dust. Temperature is rated at 275°F (135°C).